Woo Family Dentistry is a family-centered dental practice, accepting patients as young as three-years-old. San Leandro dentist, Dr. Woo focuses on restoration and cosmetic dental procedures, which target both beauty and function for a healthy, beautiful smile. Dr. Woo and staff provide dental care with a personal touch to build trusting relationships with patients. 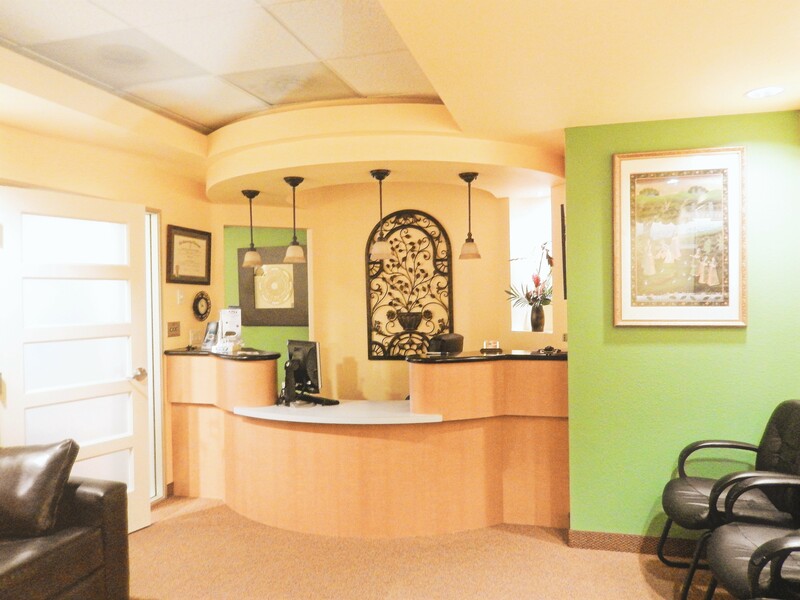 Our San Leandro dental office has a décor that is warm and friendly and our skilled, personable staff will treat you like family. We make a point of knowing your name and making sure to provide personalized care at every visit. After complex procedures, Dr. Woo will personally call you to check on your recovery and after-care. As general dentists in San Leandro, Dr. Woo & Dr. Anabu provide many comprehensive services designed for all of the dental needs in your family. We offer pediatric services for developing teeth and geriatric care for those with missing and weakened teeth. Our family dental practice will help you maintain a healthy bite and a beautiful smile that will last. Preventative Care & Education - We know that a healthy smile starts early. We provide dental cleanings and sealants for patients young and old, as well as additional wellness checks for our youngest patients. Dr. Woo will examine your baby’s teeth to make sure they are healthy and developing correctly, preventing problems from occurring in the future. Additional Services: Dr. Woo also performs root canals to save as much original tooth as possible and will perform tooth extractions when teeth are damaged or decayed beyond repair. If you are in need of TMJ or sleep disorder therapy, Woo Family Dentistry offers therapeutic options such as mouth guards, sleep apnea appliances, and snore guards. Our San Leandro dental practice also offers digital X-rays, as well as DentalVibe to maximize comfort when injections are necessary. Woo Family Dentistry makes it possible to get all of your dental treatments taken care of at one location. In addition to our experienced team, we work hand-in-hand with local specialists. If you need oral surgery or orthodontic work, we can refer you to a wonderful team that’s housed within the same building as us! If you’re looking for an experienced dental practice for your entire family, look no further than Woo Family Dentistry. With more than 30 years of experience, we are the perfect choice in San Leandro. For your convenience we are available for Saturday dental appointments. Contact us to schedule an appointment today! Check us out and give us a follow! San Leandro dentist, Ronald Woo, DDS is a dental professional dedicated to general, family, and cosmetic dentistry with services including dental exams, dental makeovers, teeth whitening, veneers, crowns, x-rays, cleanings, and more. Please call our dentist in San Leandro, CA to schedule your next appointment.